How do I build a healthy community? To address community health in a meaningful way, consideration must be given to the fundamental relationship between a person’s social environment, their behavior, and their overall health and well-being. This means it is most effective to create an environment supportive of healthy decisions by implementing, evidence-based environmental strategies promote health and that ensure all people have access to quality education, safe and healthy homes, adequate employment, transportation, proper nutrition, and quality healthcare. Identify the issues unique to your community. Familiarize yourself with strategies proven to work. 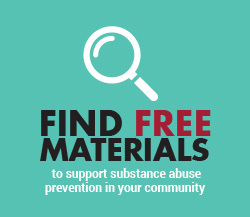 Visit prevention.nd.gov for more information. Start at home. Be a leader and positive role model. Visit parentslead.org for useful information, tools and resources. Get involved with a local coalition, community group, or your city government. Partner with law enforcement, schools, faith groups, health departments and others working toward prevention of alcohol-related consequences. Strengthen or implement policies within your community, schools, organizations, alcohol establishments and other local businesses. Policies are one of the most effective and long-lasting prevention strategies. They are cost effective and create an environment where health and safety is promoted.